Have been searching all over for Asheville homes for less money? We specialize in helping our clients find those local area Asheville homes for less money. Whether you are searching for high end luxury homes or just cottages we will be glad to help you find those Asheville homes for less money than many others. Call the proffesional real estate brokers at Green Mountain Realty when trying to find Asheville homes for less money. An elegant French chateau constructed of 3" thick limestone and the utmost quality styled for today. A complete Roman Spa, entertainment area with card room, kitchen, pool, wine tasting room and theater entertain guests and owners regally. Formal rooms abound including a very special oak bar. There are 4 full kitchens, 4 garages, HVAC is water furnace. I have a question about the property at 24 Browntown Road Asheville NC 28803 (#NCM548005). I would like to schedule a visit for the property at 24 Browntown Road Asheville NC 28803 (#NCM548005). Stunning One of a Kind English Manor. Beautifully situated on 2.89 acres. Breathtaking views throughout the home but especially from the multiple stone terraces and the grand en-suite bedrooms. Exquisite design details have been preserved and the home has updated with modern conveniences. Large eat-in kitchen with a beautiful rare granite and Viking Appliances. Incredible Reception Hall greets you as you enter while other beautiful rooms await you. Family Parlor has a gold gilded ceiling, FP, and access to terraces. This estate sits on a sprawling lot with a gated entrance, stonewalled gardens, and grotto. The detached carriage house has a three bay garage and guest quarter above. Privately located just 10 minutes north of downtown Asheville in the heart of Lake View Park. I have a question about the property at 193 Stratford Road Asheville NC 28804 (#3361372). I would like to schedule a visit for the property at 193 Stratford Road Asheville NC 28804 (#3361372). Walnut Grove Plantation Estate. Brazilian wood entry doors, 24-ft ceilings, 6-stone fireplaces, gourmet kitchen w/granite counters & cherry cabinetry. Master Suite w/jacuzzi tub, marble design shower/steam room. Elevator to 3 levels. Lower: Add'l Master w/sitting room,theatre & bar. Upper: Three add'l bdrm/s w/full baths, & 1-is Private guest quarters/kitchenette. Carpet,wood,slate flooring thru-out. Great balconies-10 acres w/breathtaking views, equestrian-friendly area. 15 min to Dwntwn. Watch Property "VIDEO" on YouTube. I have a question about the property at 7 Walnut Grove Lane Asheville NC 28806 (#3317472). I would like to schedule a visit for the property at 7 Walnut Grove Lane Asheville NC 28806 (#3317472). Grand French Chateau estate with gated circular drive on a ridge top in Biltmore Park, Asheville NC. Stunning architectural design makes this home one of the most beautiful in the community. Luxury finishes include breathtaking cantilevered spiral staircase, Brazilian cherry floors, marble & custom ironwork. Custom kitchen will please the most discerning chef. Well-appointed butler's pantry leads to formal dining room with fireplace. Cherry paneled library custom crafted with wood from the property offers a warm respite with fireplace and Neoclassical lighting. Master suite is a sanctuary complete with separate sitting room with fireplace and screened porch with wood burning fireplace - all leading to the inviting pool and spa. Spacious upstairs bedrooms each with full baths and walk-in closets. Thoughtfully designed for functional living and seamless entertaining. Pool cabana has full bath and kitchen. Carriage house with studio and attached garage offer parking for 5 cars. I have a question about the property at 316 S Braeside Court Asheville NC 28803 (#3226319). I would like to schedule a visit for the property at 316 S Braeside Court Asheville NC 28803 (#3226319). Seventeen Eastwood Road is an exceptionally gracious English Tudor Manor sitting on 1.2 acres. Built in 1999, the home features a slate roof and finely finished architectural detail. It offers unparalleled views of the golf course at the private and historic Biltmore Forest Country Club. From a wall of windows in the sun room, one can see a panoramic tee to green view of the 3rd hole. From the winding drive to the home, its entrance opens into a great room with a 30-foot vaulted and timbered ceiling and a two-sided stone fireplace. Besides the golf course view, the sun room offers a sweeping view of stone terraces, stonewalled flower gardens, two ponds and "Cocktail Island", which sits just above the 3rd Green. This unique property was featured in The Wall Street Journal as the "Mansion" in the May 16, 2014 edition of the paper's real estate section which featured Asheville. I have a question about the property at 17 Eastwood Road Asheville NC 28803 (#3423247). I would like to schedule a visit for the property at 17 Eastwood Road Asheville NC 28803 (#3423247). Amazing view from each of the 12 beautiful suites and perfect privacy at the Sassafras Cabin. Fireplace in each guest room, dining room, game room and double FP at entry into incredible living room. Chefs dream kitchen and more. This Inn sits on 100 acres at 3200' elevation. A true hidden treasure less than 20 minutes from downtown Asheville. Includes spacious Inn Keepers quarters. Call LA for list of extensive features and FF&E. I have a question about the property at 810 Elk Mountain Scenic Highway Asheville NC 28804 (#3427128). I would like to schedule a visit for the property at 810 Elk Mountain Scenic Highway Asheville NC 28804 (#3427128). Idyllically located in historic Biltmore Forest, this European-style home sits on a gated, meticulously landscaped lot. The cobblestone drive sets the tone for the approach. Upon entry, a two-story foyer with a winding staircase greets you. The foyer is flanked by a wood-paneled study on one side and the formal living room on the other with an intricately carved Italian marble mantle - one of five throughout the home. A formal dining space hand-painted by a local artist is the perfect room for dinner parties. The two-story grand room is filled with natural light and presided over by a Juliet balcony and upper hall. The gourmet kitchen is open to the breakfast and sun room and gives way to the rear terrace and loggia. This thoughtfully planned residence features a master bedroom suite on the ground floor and the rest of the seven bedrooms well placed throughout. 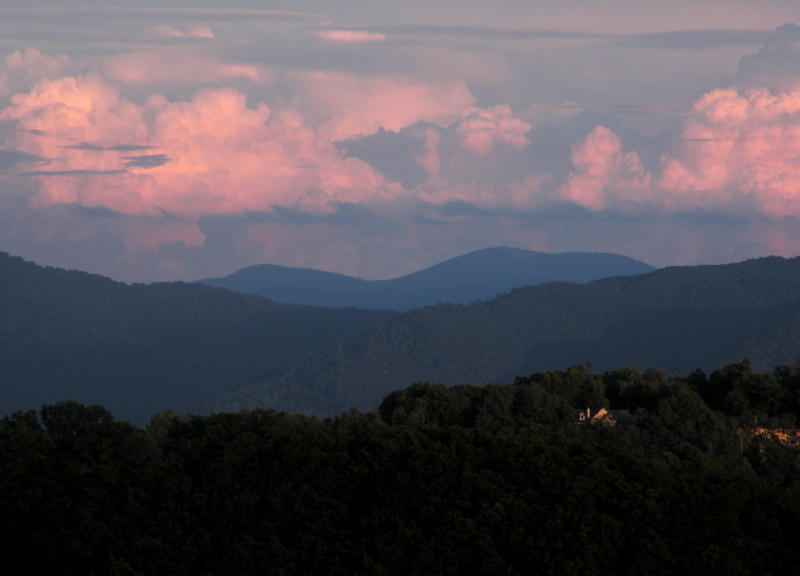 Just minutes from the Biltmore Forest Country club, Biltmore Village, downtown Asheville, and the Blue Ridge Parkway. I have a question about the property at 16 Cedar Hill Drive Asheville NC 28803 (#3364090). I would like to schedule a visit for the property at 16 Cedar Hill Drive Asheville NC 28803 (#3364090). Imagine a peaceful retreat center, a destination wedding/events venue, the current seasoned top-rated boutique Inn/B&B, this 'National Registry' treasure known as 'The Reynolds Mansion' sits on a 200-degree western sunset view knoll, just minutes from DT Asheville. Totally renovated, this fabled Grand Estate could also be your stunning private residence with 2 detached short-term rental opportunities. Chickens/honeybees & organic gardens! Let your imagination soar; just a sidewalk away from the 'Village' for dining/fitness/shopping/craft beer without getting in a car! I have a question about the property at 100 Reynolds Heights Asheville NC 28804 (#3394693). I would like to schedule a visit for the property at 100 Reynolds Heights Asheville NC 28804 (#3394693). Grandeur Embodied in this 1925 Tudor designed by G.A. & E.H. Boehm Architecture of New York. This stunning Lake View Park Tudor is the epitome of gracious North Asheville living. The owners were committed to maintaining the historical integrity of the house and used era appropriate materials and resources to create a seamless restoration. With this renovation work, they earned the prestigious Griffin award for outstanding Preservation of the home. The home offers 4 floors of beautifully restored period detail, optimized and updated for modern living. Gorgeous gourmet kitchen, amazing mudroom, wine cellar, game room, finished attic space and New HVAC systems. Not to forget a 3 car garage with inviting guest quarters. Sited on a slight knoll on 2.69 acres with Mountain Views, this lot offers multiple gardens, terrace and basketball court! A sophisticated haven minutes to downtown. Seldom found, unique, yet premier property for your enjoyment! Some of the basement ceiling height below 7. I have a question about the property at 263 Stratford Road Asheville NC 28804 (#3493914). I would like to schedule a visit for the property at 263 Stratford Road Asheville NC 28804 (#3493914). Elegant ease in the heart of The Ramble. This spacious home makes a large, formal party as natural as a quiet night in. The extensive additions and improvements since 2011 bring thoughtful design features to every aspect of the house - a screened porch that softens the edge between outside and in; a guest suite and home theater that makes hosting a pleasure for all; storage solutions that decrease the clutter and keep close what is important. The large walls and abundant light provide gallery-like space for displaying art. The kitchen, with its Dacor and Kitchen Aid appliances, dual islands and 1000 bottle wine cellar, make gourmet meals for 20 as easy as a simple meal for 2. The master suite and three bedrooms upstairs in the main house provide room for all. The private lot belies the fact that home sits in the middle of Asheville's premier neighborhood, offering miles of trails, tranquil green space and a world-class fitness center and pool. Welcome home. I have a question about the property at 62 Beadle Lane Asheville NC 28803 (#3479617). I would like to schedule a visit for the property at 62 Beadle Lane Asheville NC 28803 (#3479617). Extraordinary character is timeless, and the details are too many to list. A seldom found property in the forest, this fully renovated Georgian Estate is fully fenced on the front, walled on the rear, and gated to offer an sophisticated entry to this majestic property. Opening up the front door, will find grand entry with formal areas, yet open kitchen and hearth room with an exquisite Carrera Marble Mantle overlooking the private rear yard. The new kitchen has custom cabinetry and granite, coffee bar, walk in pantry as well as a butlers pantry. With 5 bedrooms, 4 full bathrooms and 2 half baths, and a tranquil master en-suite on the main level. The lower level offers a billiard room, extensive wine room, bar and a large family room perfect for entertaining. The recently landscaped backyard has beautiful gardens for multiple seasons. This exceptional home is simply a frame for an exceptional life! I have a question about the property at 343 Vanderbilt Road Asheville NC 28803 (#3402124). I would like to schedule a visit for the property at 343 Vanderbilt Road Asheville NC 28803 (#3402124). A swim in your award-winning pool or hot tub while watching your outdoor TV screen? Lounge by the poolside fireplace and waterfalls with a beer pulled from the tap in the pool house kitchen? Maybe a movie later down in the theater room? Or a pick-up game at Longmeadow Park, steps from your front yard? Better yet, sit by your other outdoor fireplace on the side deck and watch the fun at the park. Two combined lots provide ample room for the home and the internationally recognized pool and pavillion. Enjoy Ramble amenities: gated with 24 hr access patrol, miles of walking trails, saline pool, Living Well Center, Longmeadow Park, Bucksprings Cabin, tennis court, pickleball on the way. No City taxes in this section of The Ramble. I have a question about the property at 32 Ramble Way Asheville NC 28803 (#3272083). I would like to schedule a visit for the property at 32 Ramble Way Asheville NC 28803 (#3272083). Beautiful Brick & Limestone Georgian-style home located off of Town Mountain Road. Gorgeous year-round views. Natural, easy-maintenance landscape. Spring-fed Koi ponds can be enjoyed from either the front porch or back patio. Conveniently located minutes to downtown Asheville, Grove Park Inn, & Blue Ridge Pkwy. Sqft consists of Main House, suite attached to main house with separate entrance and pvt bath (ideal for guests or private office), and two story guest apartment. Apartment has a full bath, open living/dining room & full kitchen on the main level. The second level has a gracious bedroom and grand bath with soaking tub and separate steam shower, 3 walk-in closets, and washer/dryer. This 2,133sqft apartment is located above the 3 car garage-added in 2008. See virtual tour/slide show for additional photos. I have a question about the property at 204 Mount Olive Drive Asheville NC 28804 (#3470357). I would like to schedule a visit for the property at 204 Mount Olive Drive Asheville NC 28804 (#3470357). This exquisite Mountain home is teeming with style, design, and grand architecture. Recently remodeled by the founder of a music label this magnificent private wooded property includes five bedrooms with en-suite baths. Steam Room, 2 Master suites, breathtaking front and rear covered porches with gas fire pits overlooking Bucksprings cabin and greenspace. Perfect for entertaining, custom kitchen and oversized gathering room with Thermador appliances, Miele coffee station. Media room with wet bar, private library and reading room, elevator, large office opening thru French doors to outdoor gardens and private terrace. Exquisite finishes throughout. One Master has fireplace and huge sitting room with wood ceilings. Best location in gated community in S. Asheville with 24/7 security. Extensive gardens, fenced areas for your pets. This location, privacy, and quality construction seldom found. Come live in a work of art, in South of Asheville, near Blue Ridge, Biltmore Village, Town Sq. I have a question about the property at 94 Ramble Way Asheville NC 28803 (#3451229). I would like to schedule a visit for the property at 94 Ramble Way Asheville NC 28803 (#3451229). Imagine relaxing and being surrounded by beauty and privacy yet 6 minutes to town. Welcome to the perfect home for entertaining, family gatherings or just relaxing in beauty. This gorgeous mountain home has special sweeping views that look out over the French Broad River , across the entire Leicester Valley out to some recognizable peaks such as Mt Pisgah and Cold Mountain to the South, Dogget Knob to the North, and as far as Crabtree Bald straight ahead over 18 miles away! I have a question about the property at 80 Running Ridge Road Asheville NC 28804 (#3402032). I would like to schedule a visit for the property at 80 Running Ridge Road Asheville NC 28804 (#3402032). Magnificent English Manor style home with long range panoramic views only 10 minutes from downtown Asheville! Unparalleled quality inside & out with low maintenance exterior. Oak pub room for entertaining, gourmet kitchen.Two levels of decking/fire pit and grill. Four gas fireplaces. Technically Smart Home. Finish partially finished 2,500 sq.ft lower level for additional bedrooms, baths, etc. for $100k per builder for a total of 9,000 sq.ft! I have a question about the property at 678 Altamont View Asheville NC 28804 (#3381984). I would like to schedule a visit for the property at 678 Altamont View Asheville NC 28804 (#3381984). Newly Proposed Mountain Rustic Elegant Design by Wright Design to be built by Morgan-Keefe in The Ramble Biltmore Forest, a gated community on pristine property that was formerly part of the Biltmore Estate®. Open floor plan with a kitchen/island that flows into the dining and great room. Sit next to the fireplace on the large screened porch and enjoy the mountain views from this estate sized home site. Master bedroom with his and hers closets and guest bedrooms on opposite sides for maximum privacy. Upstairs loft and sitting room can be used as 4th bedroom or a bonus room of your choice. Community amenities include miles of hiking trails, parks, Living Well Center complete with outdoor heated saline swimming pool, tennis, bocci and pickleball courts, fitness center, and more. I have a question about the property at 217 Ramble Way Asheville NC 28803 (#3299528). I would like to schedule a visit for the property at 217 Ramble Way Asheville NC 28803 (#3299528). This top of the line custom built home embodies high-end luxury finishes any discerning buyer is looking for. With some of the best Mountain Views in WNC, this home is within 25 minutes of downtown Asheville, Biltmore Village and Biltmore Park. Situated at an elevation of 3,100 ft., you will immediately be taken by the thoughtful detail and layout of this home. The home features wood/glass French entry doors, extensive woodwork and beams, Artisan faux painted walls, Custom lighting and sound system, large Palladian windows that capture the mountain views in every room and an outdoor covered deck with stone fireplace with gas logs. The kitchen highlights granite countertops, Sub-Zero refrigerator/freezer, 6 burner DCS gas stove top, stainless double oven and dishwashers, island with prep sink and custom Cooper House cabinetry with soft close features. With Cathedral ceilings, Hometech security system, custom lighting, irrigation system and more. Furniture will convey with the purchase. I have a question about the property at 109 Crestridge Drive Asheville NC 28803 (#3483454). I would like to schedule a visit for the property at 109 Crestridge Drive Asheville NC 28803 (#3483454). Surrounded by lush old growth forests and beautifully landscaped gardens - this exceptional, Biltmore Forest Normandy-style home sits on 1.29 acres. A dream kitchen features a butler's pantry with new built-in Subzero refrigerator and full-sized freezer. The solarium, dining room, and casual den create a series of intimate escapes that converge in the two-story great room, anchored by a massive carved limestone mantelpiece. Clerestory windows and row of French doors capture light throughout the day. Main level master suite features a limestone fireplace, soaring ceilings, sitting area, and spa-like bath. Upstairs two guest suites and an in-law/caretaker suite featuring a living area, wet bar, and two juliet balconies overlook perennial gardens. Lower level features a massive living area with large fireplace and perfect cellar room for your wine collection. New household systems and landscaping complete this wonderful offering minutes from Downtown Asheville and the Blue Ridge Parkway. I have a question about the property at 31 Cedar Hill Drive Asheville NC 28803 (#3497310). I would like to schedule a visit for the property at 31 Cedar Hill Drive Asheville NC 28803 (#3497310). I have a question about the property at 80 Deerhaven Lane Asheville NC 28803 (#3289526). I would like to schedule a visit for the property at 80 Deerhaven Lane Asheville NC 28803 (#3289526). In the ultimate homes, inspiration is drawn from reflection and you will find gracious living in every corner of the subtle yet extravagant property! Perfection is formed in the grand entry to the Manor, a full master suite wing with sitting area and wet bar overlooking the rear terrace and the park in the distance. Off the entry, you have a paneled office or library with beautiful wood details. A majestic formal dining with one of a kind built-ins for displaying artwork, and quite side porch for relaxation and capping off the evening. A grand Great room with fireplace, beams and exquisite built-in overlooking a side terrace with stunning grounds. Unbelievable chef's kitchen with oversized island, beautiful granite, paneled appliances, breakfast room, walk-in pantry and office space all overlooking the great room. Additional bonus space and bath above the oversized and immaculate three car garage. Side entry for your guest into the mud room and 1/2 bath. Nothing was spared! I have a question about the property at 175 Valley Springs Road Asheville NC 28803 (#3473836). I would like to schedule a visit for the property at 175 Valley Springs Road Asheville NC 28803 (#3473836). In this exceptional home you will find the perfect balance, protected privacy yet only 5 minutes from DT Asheville! Long range sunset views any season of the year! No improvement or update has been overlooked (2010). When you drive up you'll enjoy the front garden w waterfall. Inside you have open spaces & expansive windows offering views from every room! Chefs kitchen w cherry cabinets is open to family room w fireplace, having direct access to massive wrap around deck overlooking the mountains. Terrace level has variety of useful spaces in addition to 3 bedroom ensuites with spectacular views all with lower level deck access! I have a question about the property at 11 Trailridge Road Asheville NC 28804 (#3420399). I would like to schedule a visit for the property at 11 Trailridge Road Asheville NC 28804 (#3420399). Stunning mountain masterpiece with dominant long range views, just 12 minutes to downtown Asheville. Vaulted main room with massive granite fireplace, inviting family and friends to linger and enjoy the mountain vistas. Ideal layout for entertaining, huge deck, screen porch off master, 4 fireplaces. Custom banisters and railings crafted from trees original to the property. Wide plank pine floors, chef's kitchen with hickory cabinets. Such a thoughtful design, in the mudroom even the dog has its own shower! In addition to 3 bedrooms upstairs enjoy a soundproofed game/music room plus a spacious art studio with views forever. I have a question about the property at 9 Cary Lane Asheville NC 28804 (#3472084). I would like to schedule a visit for the property at 9 Cary Lane Asheville NC 28804 (#3472084). Exquisite home in The Ramble with unparalleled finishes. 10-foot ceilings, antique oak flooring, crown molding, solid wood shutters and elevator to all levels. Main level master suite with washer/dryer. Kitchen features Sub-Zero, Wolf, Miele appliances and fireplace. Porch with remote retractable screens overlooking landscaped, private, fenced yard with double-sided fireplace, heated pool and hot tub - backs up to nature trails. Generator, 3-zone AC/heat. Multiple unfinished areas can be finished. Very private. I have a question about the property at 3 Landsdowne Court Asheville NC 28803 (#3494481). I would like to schedule a visit for the property at 3 Landsdowne Court Asheville NC 28803 (#3494481). The Wright Inn and Carriage House is a Queen Ann Victorian superbly restored to the era in which it was built. It is a successful 11 room Inn, with a sweet 3BR/2BA cottage for guests. The Inn receives special tax exemptions resulting in a 45% reduction in taxes. Located on a wonderful corner lot in Montfords' Historic District with beautiful and well maintained grounds. Check out the over 500 5-star reviews on TripAdvisor and other sites. There is a wonderful 3BR/1.5BA owners residence adjacent to the Inn that can be purchased separately. Financials available to qualified buyers. I have a question about the property at 235 Pearson Drive Asheville NC 28801 (#3391141). I would like to schedule a visit for the property at 235 Pearson Drive Asheville NC 28801 (#3391141).